TOP FLOOR – OVER 1300SQ FT – MINT CONDITION, TASTEFULLY UPDATED – BRIGHT, CHEERFUL & OFFERS BEAUTIFUL SOUTHWEST VIEWS!! 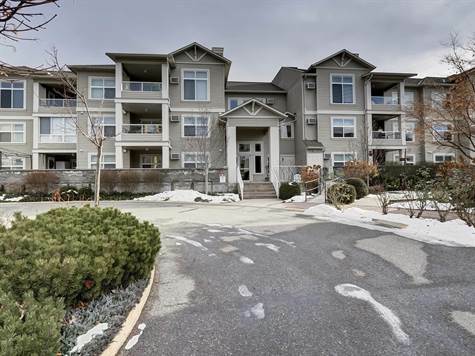 This Meticulous 2 Bed, 2 Bath + Den Condo shows Amazing!! The Bedrooms are Separated by the Living Space giving each Room Privacy and they are both generous in size…especially the Master Bedroom! The Kitchen and the Living Room flow together perfectly to provide Open Concept Living + there are lots of Windows delivering tons of Natural Light. The Kitchen overlooks the Living Room – perfect for ENTERTAINING and has a Sit Up Bar to watch all the action in the Kitchen. The Living Room & the Den both offer the luxury of HIGH CEILINGS! The Master Bedroom is unseen in Condo Living…. its HUGE and the Ensuite offers a very Functional Layout and Ample Closet Space! This unit comes with 1 U/G Parking Stall + a Storage Locker. The Location is Stellar…just across the street from Shopping, Restaurants, and other Amenities!